Home » What should you know before buying a house in West Palm Beach? 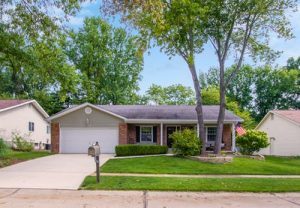 Posted on April 14, 2019 April 15, 2019 by Eleanor P.
Buying a real estate property is one of the biggest decisions of one’s life. So if you have decided to buy a house, this means that you must have really given it a lot of thought. There are some things you should know before you make the final decision, though. Your mind is set on buying a house in West Palm Beach. And to be honest, it sounds wonderful. But there’s so much to do before you start signing papers and packing to move to this part of Miami metropolitan area. What do you actually know about West Palm Beach? For every single adult out there, buying your own real estate property is a special kind of life event. You’ve probably planned this for months or even years. And whether you are buying a house for yourself or you have a family and children, you have so much to think about. Have you already hired a real estate agent? You don’t want to find yourself overwhelmed by the market offers and pitfalls when buying a house in West Palm Beach. An agent will help you define your requirements and understand the West Palm Beach housing market. Perhaps you have had the idea of what your house should look like since you were a kid. Of course, your wishes should be the primary factor, but try to be as realistic as possible. Stay open-minded and maybe you’ll find the perfect house in West Palm Beach. You’ll never forget the moment you became a homeowner. What’s there to know about West Palm Beach? Although its population is somewhere around 100,000, West Palm Beach is a city that offers a suburban feel. So if the idea of living in a suburban area is your cup of tea, then buying a house in West Palm Beach sounds like a great idea. Most people in this city actually rent their homes, so as a homeowner you would be a representative of a slight minority. Most cities in Florida have noted an increase in the number of residents during the previous years. This means that a great many people consider the state of Florida a perfect place to settle. You should, however, be aware of the crime rate issue in West Palm Beach. So when choosing a house, it would be wise to avoid the notorious neighborhoods of this Florida city. Your real estate agent will help you choose a house in a safe neighborhood. Before you even find a suitable house in West Palm Beach you should try to prepare for your moving day. Naturally, after buying a house in West Palm Beach you need to move there. So hiring West Palm Beach movers might be a perfect choice. Reputable and experienced professional movers will make sure your relocation goes according to your personal plan and schedule. And if you do not want to move everything from your old home into your new house, professional movers are there to show you how to pick a public storage according to your needs. So whether you are about to move to West Palm Beach from a few miles away or interstate moving is what you will deal with, hiring professional moving services is always a reasonable call. You have enough on your plate already with choosing the perfect house and all the planning and paperwork involved. Let professionals take care of your relocation. 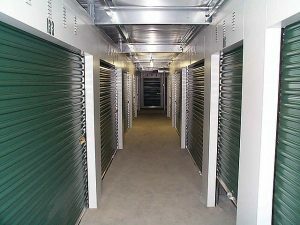 If a safe storage unit is what you need, professional movers will help you find it. It goes without saying that you should be extra careful and patient when buying a real estate property of any kind. So before you make a final decision, make sure you are not rushing it. Go through every detail with your real estate agent. Check all the papers and documents. Double-check the house and what state it is in. If necessary, hire an inspector to do it for you. After all of it is done, it’s time to finalize the deal and sign the contract. Congratulations, the process of buying a house in West Palm Beach has finally been finalized! Your household is ready to be relocated, and all you need now are residential Florida movers. Now when you know some basic facts about buying a house in West Palm Beach, you can start the process anxiety-free. Sure, it’s going to last for a while, but this just gives you enough time to slowly prepare for the fact that you are going to move and become the owner of a house soon. So make a checklist and slowly go through it. Hire a real estate agent to help you choose the right home and professional movers to help you relocate with ease. Having reliable people there to give you a hand means relieving the amount of stress these important life events carry. 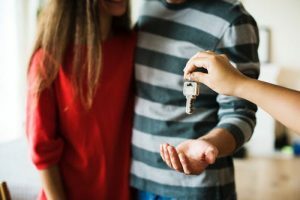 It’s almost impossible to avoid feeling stressed when buying a house and moving, but these are wonderful events and you should enjoy them as much as you can. West Palm Beach might be the perfect place for you, a city where you can settle for the rest of your life. So have a good househunting.